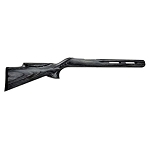 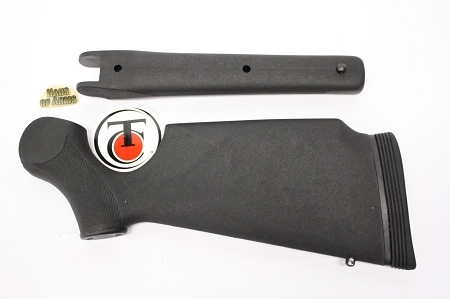 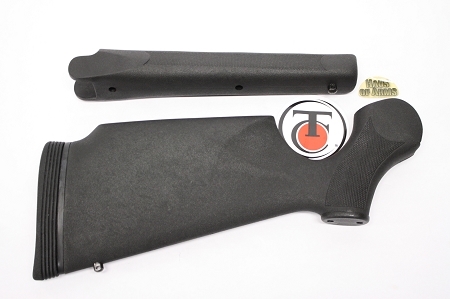 T/C Choate Encore black synthetic rifle stock set is the Choate version of the original black Encore stock set but with two major improvements. 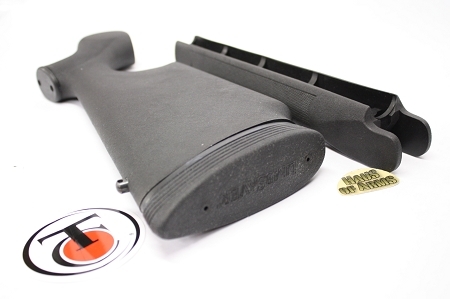 The buttstock has a LIMBSAVER Pad attached and overall there is a better grip feel. 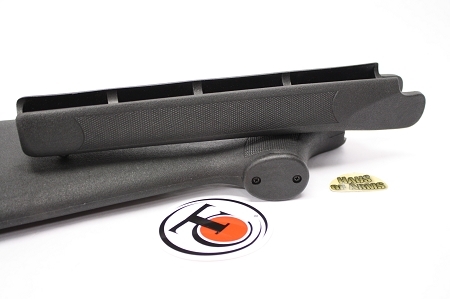 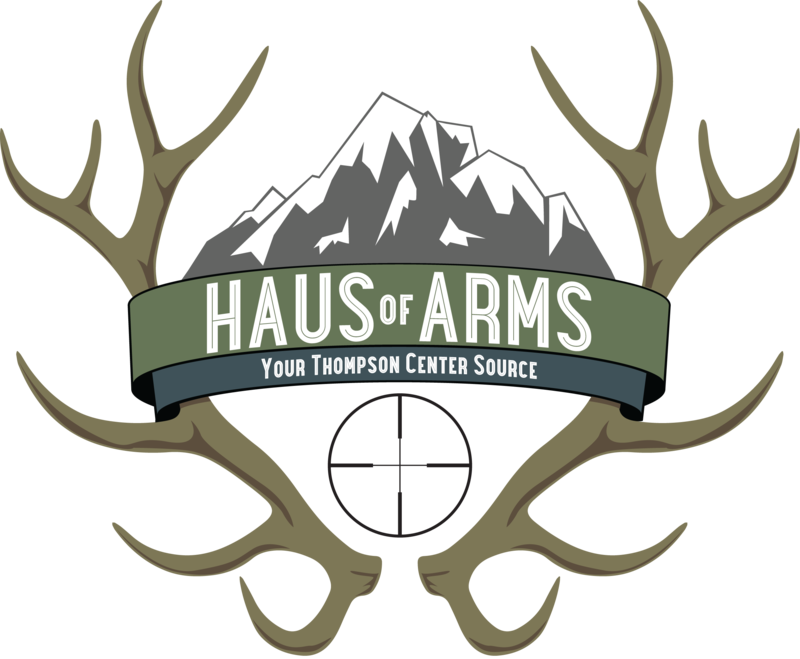 The forend fits all Encore, ProHunter, and Bergara rifle barrels, and also has the attachment screws.